Say Hello to Sunway Pyramid’s lovable mascots, Leo and Leona! 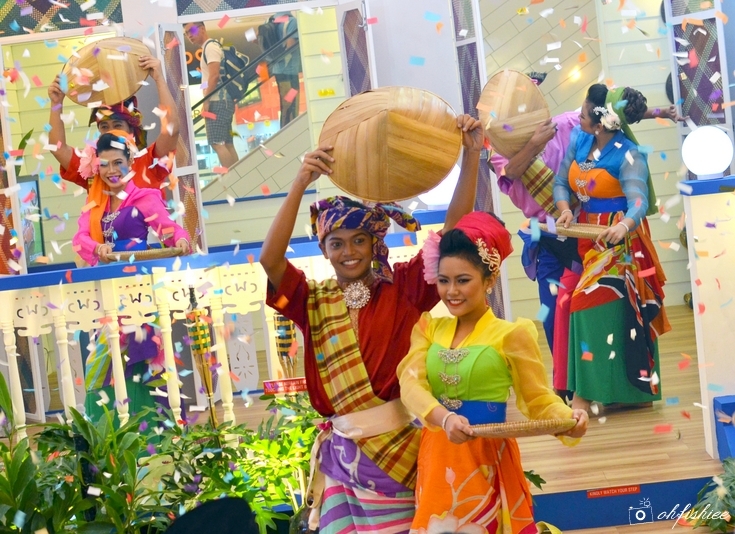 In celebration of this Raya, Sunway Pyramid has transformed its Orange Concourse into a nostalgic Raya vision, with the special appearance of the duo every weekend and public holiday from 27 June to 19 July at 2pm and 4pm. Sunway Pyramid is decorated with various anyaman in its most delicate yet simplest art form, creating a warm, intricate ambiance for this festive season. 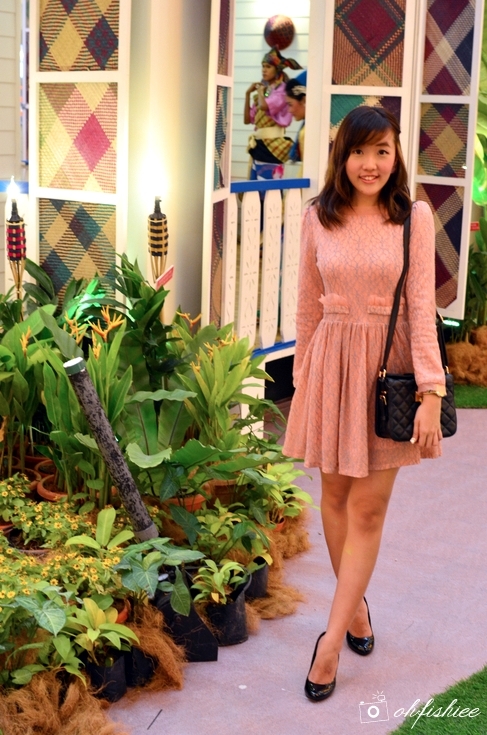 You can enter the Rumah Tradisional at the Orange Concourse (Remember to remove the shoes ya!) and take as many pictures as you want! On top of that, there are exclusive anyaman workshops, Raya activities and exciting redemptions happening now till 26 July. 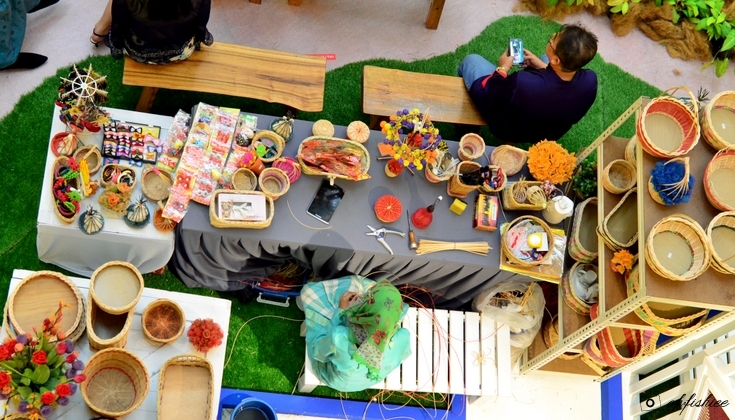 I think it's a great effort to encourage the public to learn weaving a ketupat and expose ourselves to the true Malaysian culture. What's more is that you can contribute for a good cause by folding a ketupat! 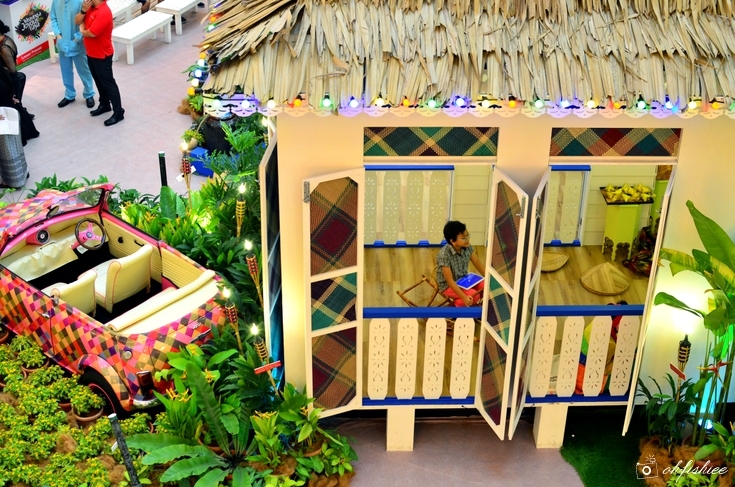 The mall will be donating RM5 for every ketupat made, with proceeds going to National Cancer Society Malaysia’s Children’s Home of Hope. As part of the festive celebration, we manage to enjoy some traditional dances before the sumptuous buka puasa feast. to this glorious event to give out gifts to guests from Masjid Al-Husna. During this festive season, shoppers get to redeem freebies too! (RM200 for HSBC Credit Cardholders) in 2 receipts.